Black Command is strategy based war game where players command their own private military company and run missions in conflict zones around the globe. With each mission, you will have the opportunity to build your squad with mercenaries, each with different skills and whose loadouts you will be able to control. Your commands are what will decide the fate of the squad. 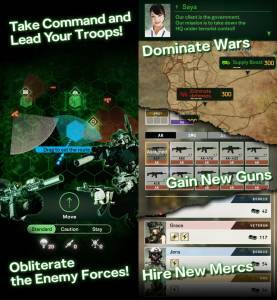 Black Command will be released this fall for both iOS and Android. Although the pre-registration is only available in Japan now, a global version is being developed (the beta test is in English). No discussions open for Black Command at the moment.